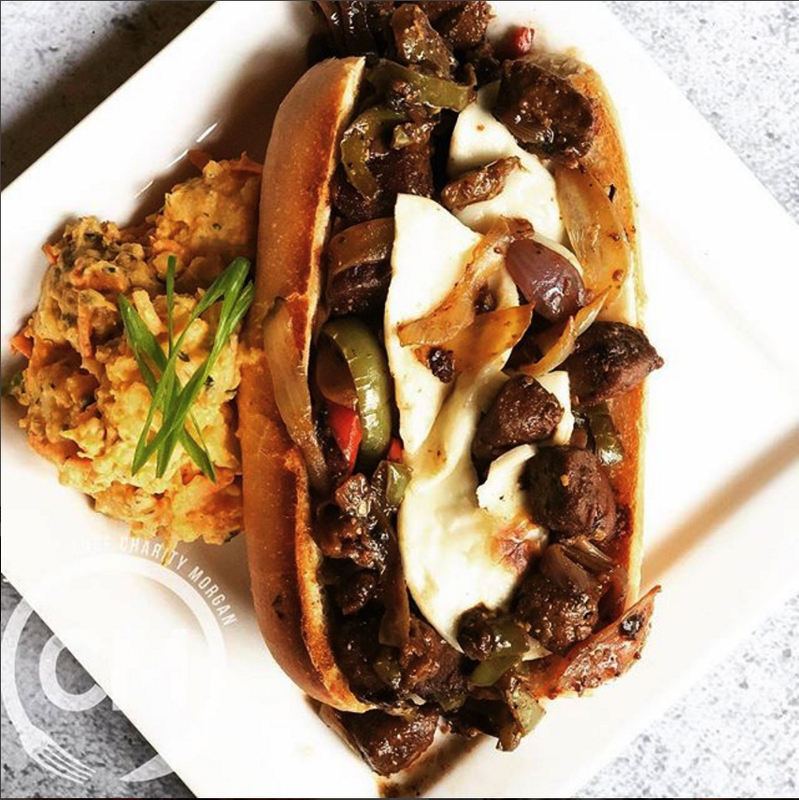 Plant-based cheesesteaks with a “Bae’con Buffalo” potato salad. Game days are always special for the Tennessee Titans, but for the 15 team members on the vegan plant-based meal plan of Chef Charity Morgan, “Burger Fridays” rank pretty high, too. “The biggest thing I love are the burgers. She does a great job with the burgers. Unbelievable,” veteran defensive tackle Jurrell Casey says. “She makes buffalo cauliflower chicken wings, she makes any type of burger; they’re all usually good,” adds Titans outside linebacker Derrick Morgan, Charity’s husband. One of the players’ favorites that Chef Charity does is a plant-based version of a Philly cheesesteak. “Sometimes she comes in with these Philly cheesesteaks that are unbelievable. I’m like, man, these cheesesteaks are amazing,” Casey says. Punter Brett Kern and linebackers DaQuan Jones and Wesley Woodyard all name Chef Charity’s burgers as their favorites. Kern has a couple of favorites, even if he isn’t sure what he’s eating. “I don’t even know what it’s called. I don’t ask; I don’t even want to know what it’s called. It just tastes really good,” Kern acknowledges. Jones agrees that burgers are his favorite, but he appreciates the variety. “Every week she comes out with new stuff that I really like,” Jones said. Linebacker Brian Orakpo doesn’t play favorites with menu selections. “Charity Morgan is doing a great job cooking for a lot of guys on the team. The food has been excellent. It’s been amazing,” Orakpo says. “I never thought vegan food could be so good as normal food. It’s amazing to see the things she cooks up for us each and every day. Some of her recipes can be found at www.chefcharitymorgan.com/recipes/ and @chefcharitymorgan on Instagram.